“PowerPoint makes us stupid,” General James N. Mattis of the Marine Corps, the Joint Forces commander, said this month at a military conference in North Carolina. 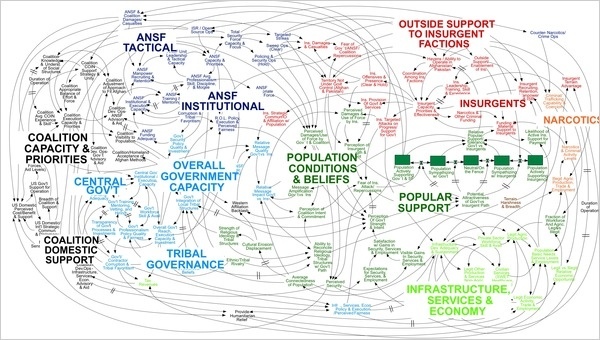 General Stanley A. McChrystal, the leader of American and NATO forces in Afghanistan, was shown a PowerPoint slide in Kabul last summer that was meant to portray the complexity of American military strategy, but looked more like a bowl of spaghetti”, according to an article in the New York Times. The slide in case was indeed a colorful resemblance of a highway in Rome during rush hour. “When we understand that slide, we’ll have won the war,” General McChrystal dryly remarked, one of his advisers recalled, as the room erupted in laughter”, the article continues. Are you hypnotizing chickens, or are you inspiring? You All know Paulo, our friend from Microsoft who introduced internal podcasting at Microsoft which was a great inspiration to us. He just tweeted a video about how the made people listening to a 5 minute podcast. Well done Paulo. Could that fly in pharma companies too?